Let us POP-IN on your next event! Our gourmet popcorn and candy makes every event that much sweeter! You can either buy in bulk or by the bag. Either way, your guests will be happy that they popped-by! 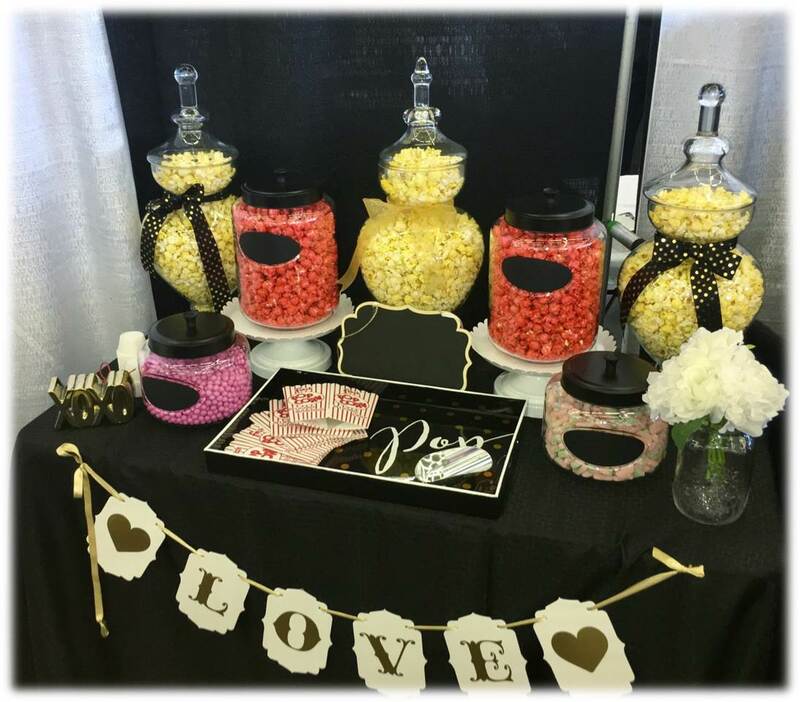 Popcorn & Candy Bar- We can supply the set-up or just the popcorn and candy. We generally recommend 2-3 cups of popcorn per guest. Because we have over 70 flavors of popcorn (including candy colors) and a wide selection of candy, our items will compliment any color scheme you have in mind! Bridal Party Gift Boxes- Looking for the right gift to show your appreciation to your Bridal Party? Look no further! Our gift boxes make the best gifts….and the tastiest! For more information, please email Pop-N-Cream at info@popncream.com. We can’t wait to work with you!